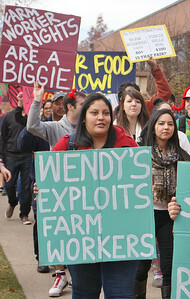 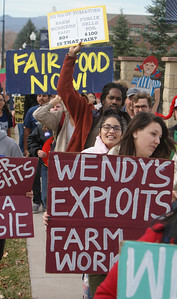 Protest at a Denver Wendy's in support of Fair Food Program and rights of farmworkers. 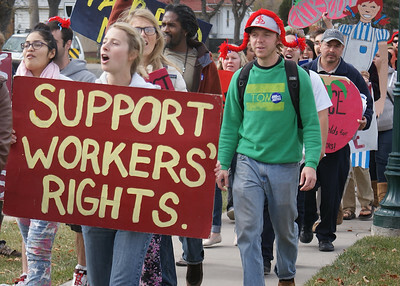 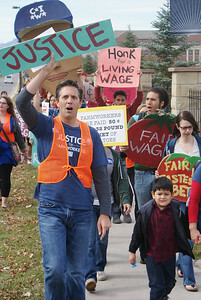 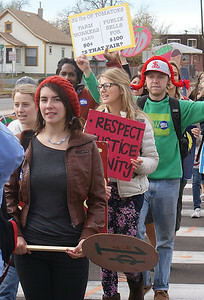 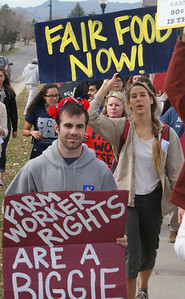 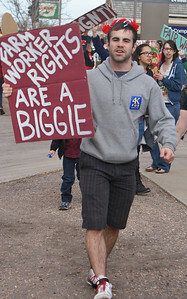 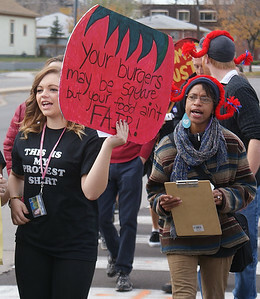 Regis University students, union members, and members of Jobs with Justice, rallied then marched to a local Wendy's to demand the fast food chain join the Fair Food Program to improve the conditions of farmworkers. 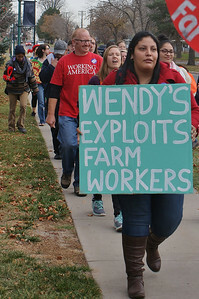 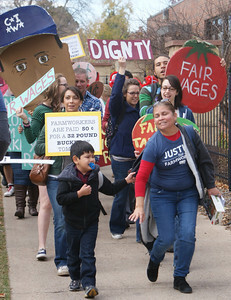 Mother and young son lead a march to a local Wendy's restaurant, in support of farmworkers and the Fair Food Program. 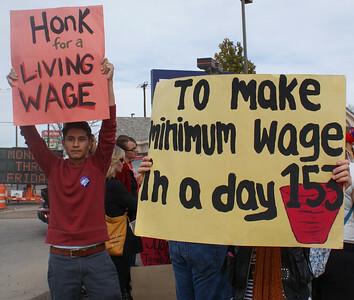 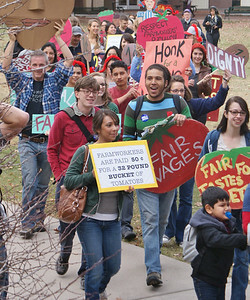 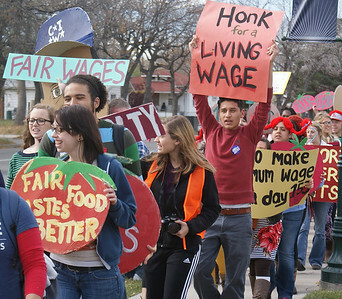 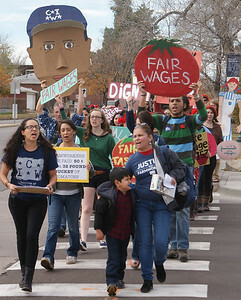 Fair Food Program supporters demonstrate for a living wage for farmworkers, outside a Denver Wendy's restaurant. 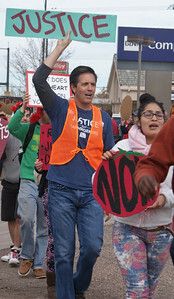 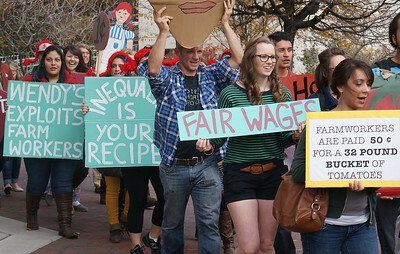 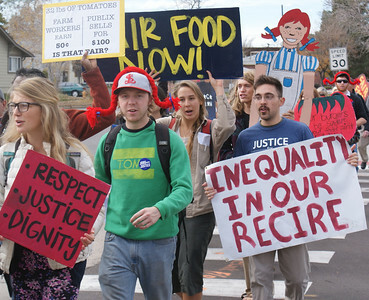 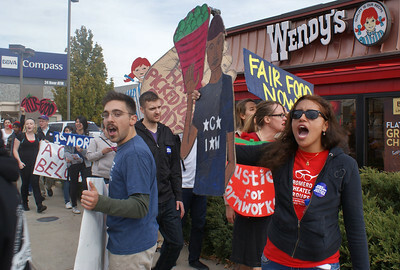 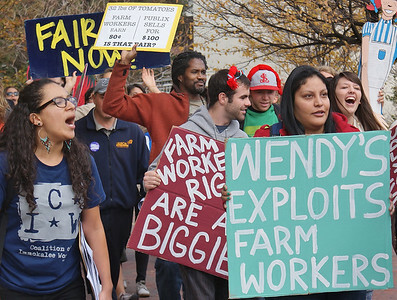 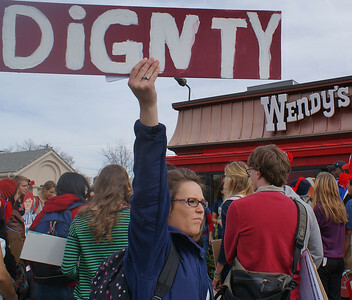 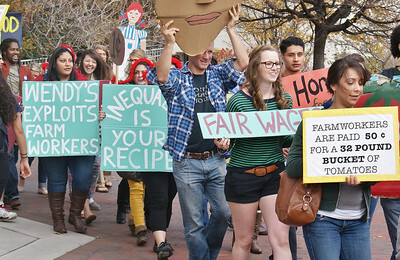 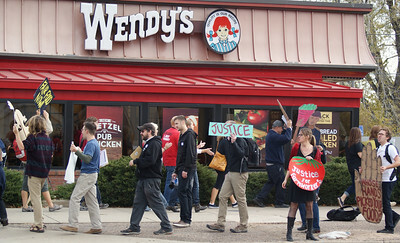 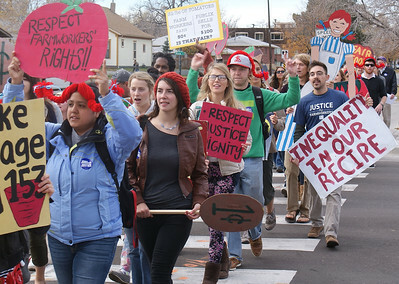 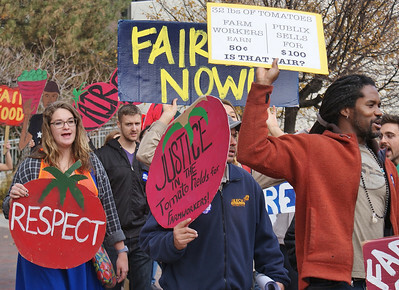 Students from Regis University, members of Jobs with Justice and area unions, demonstrated in front of a Denver Wendy's, in support of the Fair Food Program, which protecs the rights of farmworkers and improves wages and working conditions.